In the Front Porch Classics tradition of making "games worth giving" this classic American pastime comes in a beautifully stained, wooden Domino box and includes rules for two popular domino games – Block & Draw and Mexican Train. ​Entirely suitable for home display, Box of Dominoes is a game for two to four players, ages eight and up. 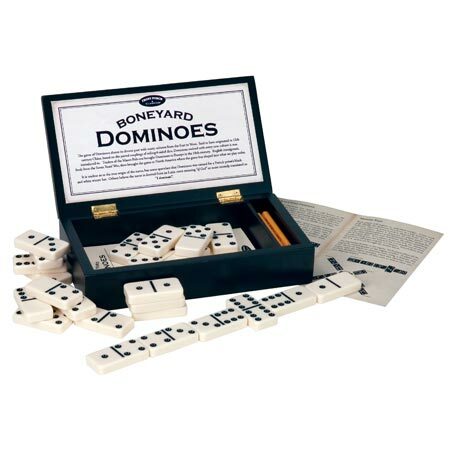 Features 28 large dominoes, score pad and 2 pencils in a dominoes shaped box. High Quality construction with a solid Wood Case! 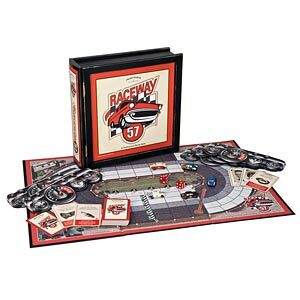 Featuring all the exiting elements of the original and award-winning game along with some new twists, Bookshelf Edition Raceway '57 lets you experience the full throttle excitement of America's fastest sport. 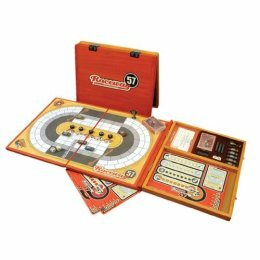 Raceway '57 is a game for two to five players. ​$45 - In Stock Now! Letterpress craftsmen of centuries past used to hide words within a block of text as a challenge to their peers. They called this past time vedere parola. 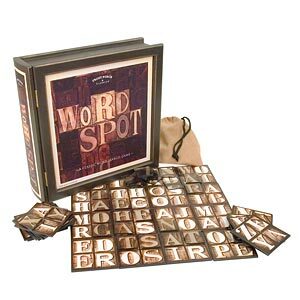 To celebrate this rich tradition Front Porch Classics has created WordSpot, a timeless game where players try to find hidden words among an arranged board of lettered tiles. The first player to use up all their markers finding words is the winner!